Bug Bond is a multi-purpose UV cured resin which has been designed as an easy to use replacement for epoxy. 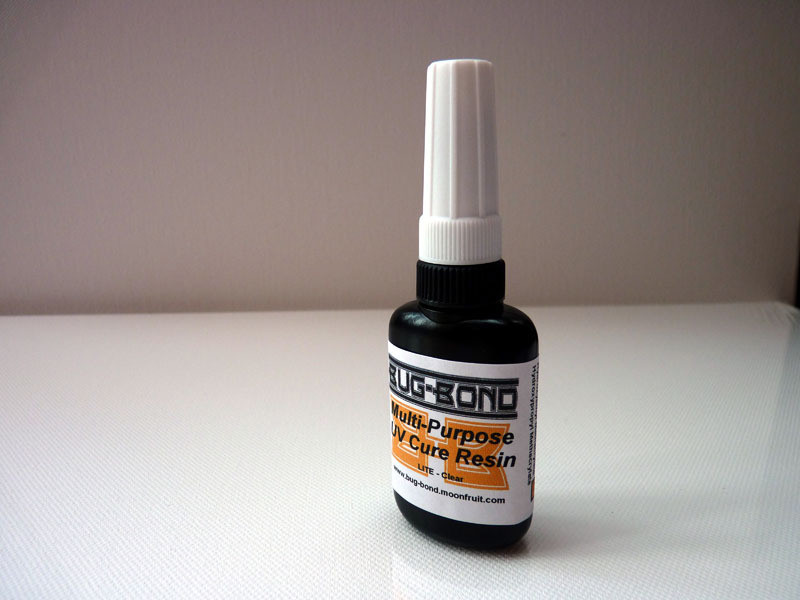 Used with the Bug-Bond 395nm torch the resin will cure in seconds. No mess, no waste. Bug Bond Original is designed for use as a fine coating or to build up for doming applications. Suitable for tying tiny epoxy buzzers to pike flies. Bug Bond Lite is the ideal alternative to standard head cement and as well as a coating is very useful since it will soak into fibres in a similar way to superglue. Tack free, optically clear when properly applied, won't crack or yellow and contains no solvents.